Weddings- they seem to be happening all the time lately, with excited couples sharing in their happiness with friends and family who gather together from near and far to be a part of this magical day. So much goes into planning a wedding, from catering to décor to speeches and guest lists! 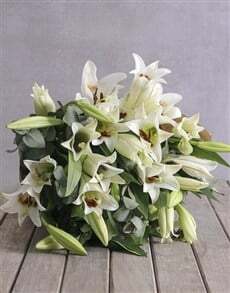 If you are planning or attending a wedding, you simply cannot do without gorgeous wedding flowers and gifts. 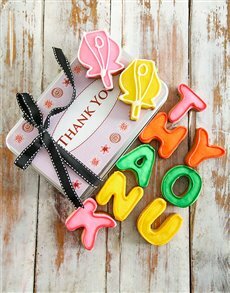 At NetFlorist, we’ve got you covered! Let’s start off by talking about flowers. Imagine a wedding without flowers. Yes, it would be very dull, which is why flowers for weddings are simply vital! 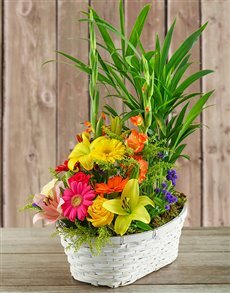 At NetFlorist, we are of course the masters of all things flower, as after all, we are the top online florist in South Africa. No matter what the colour or the flower, we have what you need to make that special day all the more magical. Wedding flowers don’t have to only be white and pure- they can be used in many colours and forms, depending on the colour scheme of the wedding reception. For example, if you are looking for wedding centrepieces to display on the tables of your wedding reception, there are a variety of flower arrangements that will look great! We also have some amazing bridal bouquets on offer! 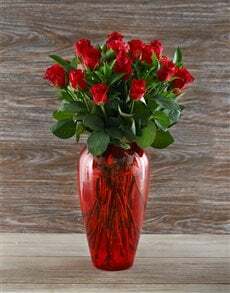 From red roses, to mixed vases, the choices are endless. When it comes to wedding gifts, we also have you covered with some amazing choices including quality homeware, edible goods and more. For example, our Carrol Boyes homeware range is always a real hit, and anything from this range would make the ultimate gift for a wedding. We also have some unique personalised gifts for the bride and groom, which will surely make them smile. In order to buy wedding flowers and gifts online, simply log onto NetFlorist and browse through our amazing selection. Place your order and let us do the rest! Weddings need flowers and gifts to add to the happy mood, so let NetFlorist get involved and make it an occasion to remember.